Back in 2008, right at the peak of the McCain/Palin, Obama/Biden presidential election, I wrote a scathing opinion to the Mat-Su Valley Frontiersman about Sarah Palin (titled “Caribou Barbie”), and five years later, I would like to recant my opinion and tell the people of the Mat-Su Valley just how wrong I was at the time. Let me elaborate. Regardless of the politics involved and what you may think now, Sarah Palin did one thing that we shouldn’t forget. Put aside all other actions, failures, controversy and animosity for just a second about Palin and consider this: she warned us about Barack Obama. She stood up and said clearly, openly and without reservation just exactly what Obama would do and how he would do it. She said that he had socialistic — if not Marxist — views, that wealth would be taken away and redistributed and that he would create a new economic dependent class. Not to mention a power grab in the justice department and what appears to be complete control over all government functions, regardless of opposing dissent. And here we are in Obama’s second term, and who could argue now that Sarah didn’t have it right all along? Not only was Sarah dead-on the mark, it is shocking to see just how far along this radical agenda has evolved. It would be an understatement to say that Sarah most likely understated her case. I would guess she is more surprised then I at what has transpired thus far. Most business people I speak to (if not all) are absolutely terrified at what will happen next. With the uncertainty that these people face, and the current economic turmoil, it has made most very pessimistic of the future. In addition, most Alaskans are rugged individualists, yet remain amazingly open minded. Having said that, most feel the encroachment and loss of individual rights affects them directly. It would be very accurate to say that the last four years have radically changed our country, myself included. I have totally changed my viewpoint about things, and my friends have, too. I cannot believe how wrong I was, and I admit it. In closing, Sarah Palin warned us, and that is irrefutable. But I have learned from it the hard way. Instead of “forward,” which is the current battle cry, it seems that “backward” is the new norm. I shudder to think what this country will be like in the next four years. Yes, Sarah warned us, and some listened. I don’t agree with her all the time, but what is intriguing is that she somehow knew. How, I ask? Not sure, but she knew, and that is fact. Maybe I should have listened. 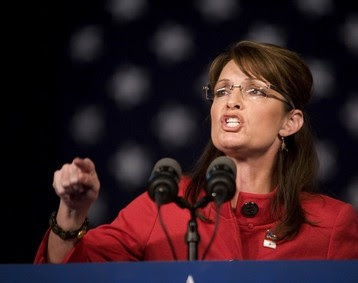 (October 2010) Sarah Palin – President Barack Obama Sounds Like a Socialist to Me !! This entry was posted on November 30, 2012 at 9:37 PM	and is filed under Uncategorized. You can follow any responses to this entry through the RSS 2.0 feed. You can leave a response, or trackback from your own site. You can only make today’s decisions based on what you know today (to paraphrase Condelesa Rice). But in the case of Sarah Palin and what she said you (being most Americans) could have listened to what Sarah Palin said instead of the lap dog MSM who were only acting as an arm of the Democratic Party. You makes your choices and lives the onsequences. Unfortunately, you dragged many into the pit with you!! Why not just pause next time (oh, that’s right too late for this time). Let’s hope we can re-evaluate what we hear and are willing to make our own decisions . . . Not so dumb is she like they wanted us to believe . . . waaaay too smart to be fooled, a wise student of history!